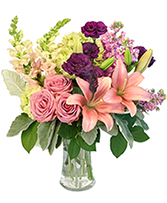 Give that special someone two of their favorite things, hearts and lilies! 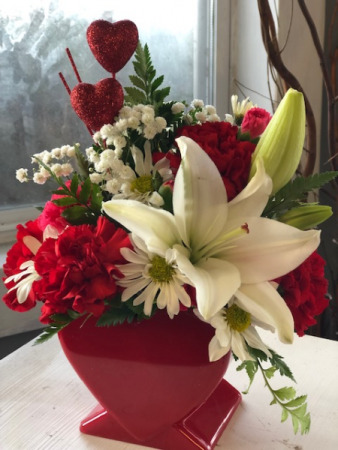 Each arrangement is designed with TLC captured in a heart-shaped vase. 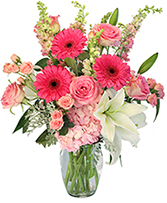 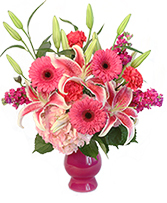 Design includes beautiful lilies, carnations, daisies, and filler.